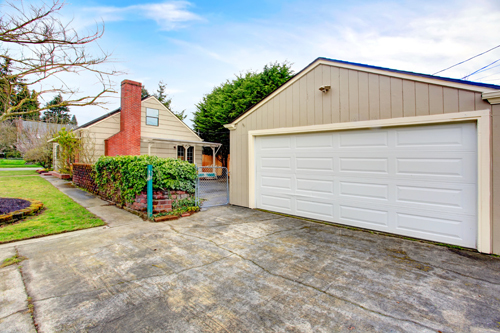 The overhead garage door system consists of a door which is connected to a torsion spring or a pair of extension spring via cables and to tracks via rollers. It is typically connected to an opener which works to automate the opening and closing. The system has a lot of components and each one can suffer from damage or start to malfunction. In such cases, overhead door repair is required. In order for the repair to be made, the problem and its cause have to be pinpointed first. The most common panel issues include decay and rust depending on whether wood or metal is used for the making of the panels. The repair involves removal of the damaged material, filling any gaps and repainting. The metal parts and the opener's parts can get worn-out, rusty or broken. While rust is fixed with cleaning and lubrication, part replacement is required in case of more serious damage.